Despite a lack of funding as well as handling animal shelter duties for several neighboring communities, the city of San Jose’s Animal Care & Services department is placing more stray cats and dogs with owners than at any other time. The city of San Jose’s Department of Animal Care & Services is the place to seek out regarding all things animals. Actually, San Jose provides animal services for other neighboring cities too, including Cupertino, Los Gatos, Milpitas and Saratoga on a contractual basis. Outside of service calls, the other main function of the department is operating the animal shelter on Monterey Highway. Over 17,000 domestic animals were provided shelter last year with over 3,400 adoptions. The sheltering of dogs increased slightly while cats dropped. Many credit the spay/neuter services provided at the shelter for the reduction in cats. A neighbor of mine has trapped approximately 30 cats and brings them in to be spayed/neutered and then releases them back where she found them. 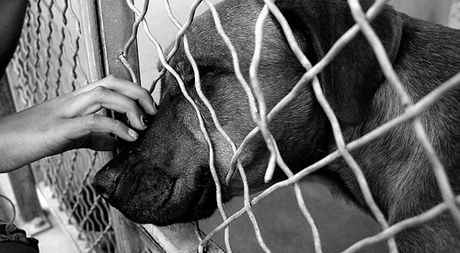 The goal of the shelter is to have a high Live Release Rate, which means animals are adopted instead of euthanized. For public shelters, a very successful goal is 80 percent. San Jose is at 70 percent, which is actually the best it has ever been and much higher than the national average of 36 percent. The license amnesty program approved by the Council resulted in over 7,000 more pet licenses and brought in approximately $350,000 in fee revenue. One good reason to license pets is the ability to reunite a lost pet with a pet owner. In the standard tradition of the state of California neglecting local government, the city of San Jose is owed more than $2 million for unfunded state mandates by Sacramento. Overall, there are approximately 90 million cats and 75 million dogs in the USA. Animals are like family to many of us and they play an important role in our lives. A discussion with the Animal Care Services Department and Humane Society, plus a related documentary, will be held Monday, March 12, at 6:30pm at San Jose City Hall.